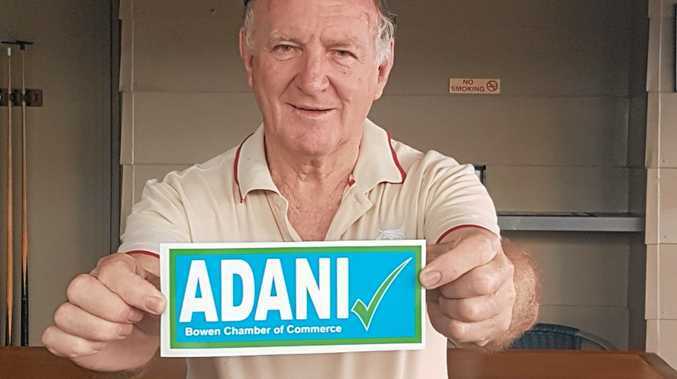 THE Bowen business community has thrown their support behind Adani following the release of a bumper sticker which is being plastered in shopfronts around town. More than 250 stickers have been handed out by the Bowen Chamber of Commerce during the past week. The stickers were made in support of the company which is expected to deliver a number of jobs through the company's Carmichael Mine project. Bowen Chamber of Commerce chairman Bruce Hedditch said the company has been unfairly targeted despite the fact it's yet to dig up an ounce of coal. "Poor old Adani seems to be fighting this battle on their own, and you've got an opponent with a red sign that has infiltrated everywhere in Australia to stop Adani, and it is not really Adani they want to stop but coal, and if they win they are just going to attack other coal mines," he said. "This sticker is to convey to everybody that the business community of Bowen does support what Adani is trying to do and to support Bowen." Mr Hedditch said once the Carmichael Mine is up and running, Bowen will experience "big growth" in the town's rail sector. 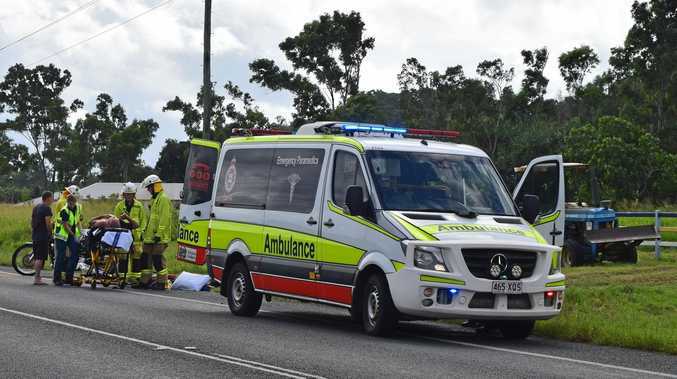 He said the rail operators and support staff tasked with servicing the Carmichael Mine will be based in Bowen which will be a big plus for the town. He said so far, feedback for the sticker has been excellent. "Everyone seems to like it, and I just think we had to say something, and I hope this helps get the word out," he said. "It's not just for people to put in cars, but in their shop or on their cash register as well." To get a bumper stickers go to the Larrikin Hotel at 69 Herbert Street, Bowen.